None did I ever meet who watched “The Silence of the Lambs” (1991) and did not enjoy the thriller. My likeness for The Silence of the Lambs grew because of the exotic psychology of Dr. Hannibal Lecter. Always having a taste for psychology, what can be more interesting to me than a brilliant psychopathic psychiatrist who happens to be a cannibal? I am not going to write about how Anthony Hopkins and Jodie Foster delivered every scene or how Jonathan Demme took the shots; not even how Thomas Harris presented the pivotal characters. I am writing about the hidden imagery in the iconic poster of “The Silence of the Lambs” (1991). The director, Jonathan Demme designed the poster himself and it was created by the film advertising agency “Dazu”. The original poster portrays a moth on Judie Foster’s mouth. This moth has a symbol of human skull on its back, right under its head. The skull symbolizes “Death”. Additionally, in the movie, Buffalo Bill uses the moths as ‘calling cards’, stuffing them into his victims’ throats. This moth is called “Death’s Head Hawkmoth”. Death’s Head Hawkmoths are usually found in Europe. Its scientific name: Acherontia atropos. Because of the skull, this moth is considered to be an omen of death in some cultures. It is one of the biggest moths in existence and it squeaks when a hungry predator approaches and the noise often deters them. The unique features of Death’s Head Hawkmoth make it one of a kind and inspire numerous artists. 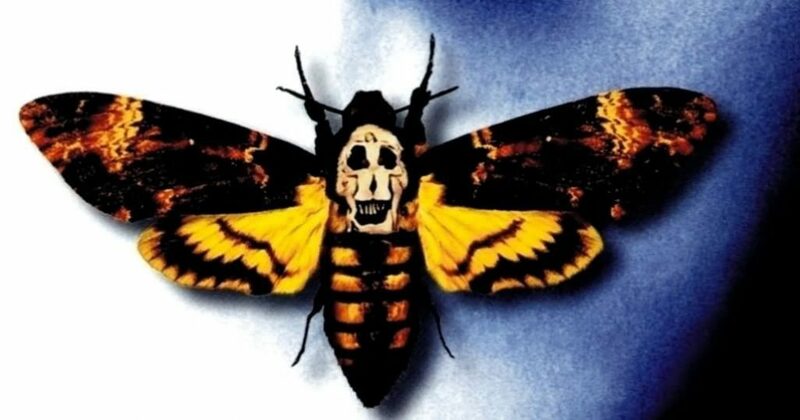 One of the artists who was inspired by the Death’s Head Hawkmoth, was Salvador Dali. Salvador Dali met photographer Philippe Halsman in 1941 and they collaborated in art for about 30 years. Together, they created one of the most enchanting, morbid and bizarre photographs of all time: “In Voluptas Mors” (1951). 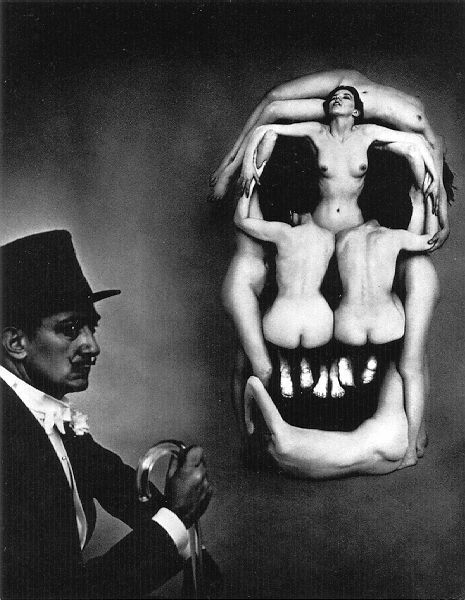 This surreal photograph portraits seven naked women forming a human skull. Directed by Dali, this psychological portraiture was the most criticized paintings of that time. Now, looking closely, the skull on the back of the moth which is in the poster of The Silence of the Lambs, can be clearly observed. It indeed is “In Voluptas Mors” (Voluptuous/Desirable Death). This Easter Egg was what contributed in winning many awards for the poster of the Oscar winning movie. 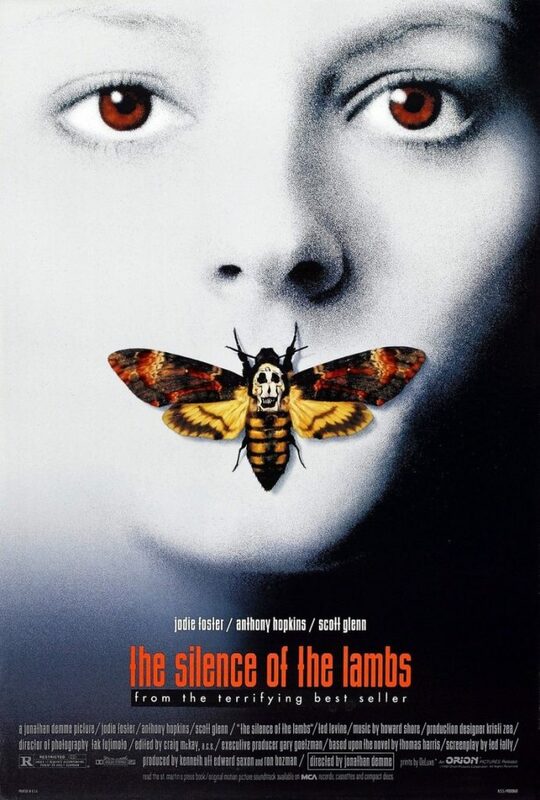 To me, the poster of The Silence of the Lambs is one of the most perfectly thought and sorted out posters of all time. It exquisitely screams violence and the beauty of death. According to the ravens, Bidita is just another brick in the wall; completely in love with poetry, paintings and films. She prefers tea to coffee and has a severe Satyajit Ray obsession.